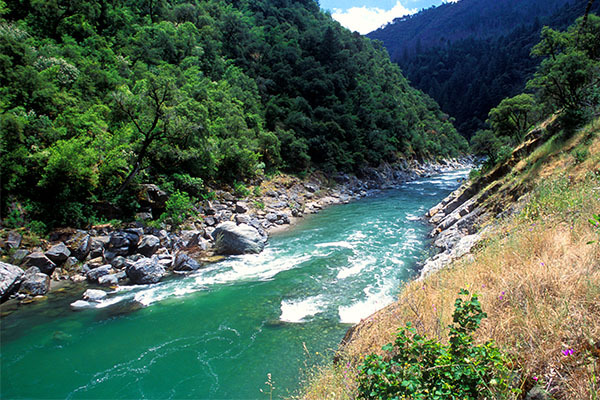 The Class IV+ North Fork of the American River has the most difficult whitewater of the three forks of the American River. Giant boulders scattered throughout a steep, narrow canyon create a technical, challenging slalom. Previous rafting experience is advised. Your trip begins immediately with a quarter-mile long series of waves, obstacles, and complicated maneuvers. This fast start culminates with a jolting ride through Class IV+ Chamberlain Falls rapid--a careening bend in the river followed by a commanding, sheer drop. Welcome to the first two minutes of every North Fork trip! The Class IV whitewater keeps coming, challenging your paddling skills with each rapid. Midway through the trip, we break for a satisfying lunch. Here you'll have time to really take in the magnificence of the North Fork canyon--sheer, narrow, stunning. Back to the whitewater, you'll slice through long, complicated Staircase rapid. Soon after, you'll get a chance to relax while leisurely floating through Class II-III rapids to our take-out. 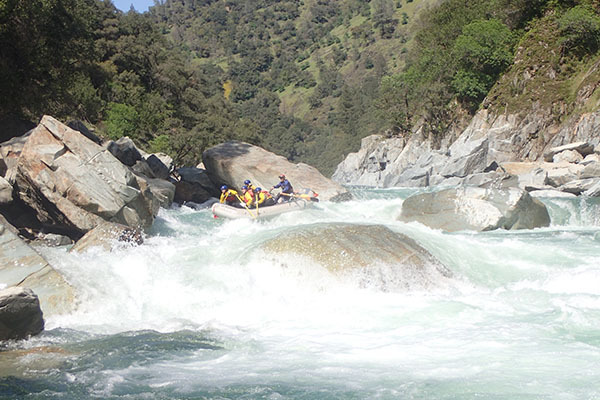 The action on this river starts immediately with a long quarter-mile stretch of technical whitewater. This rousing introduction ends in a hefty seven-foot drop called Chamberlain Falls. Continuing on, you'll blast through powerful hydraulics and maneuver through some solid Class IV rapids. After an intense morning, we'll break for lunch along the shoreline. You'll be glad when the river mellows out in the afternoon as we head toward take-out, giving you and your friends a well deserved chance to relax and enjoy the canyon. A narrow and steep canyon of blue-green rock corrals the azure waters of the North Fork. Lush greenery hangs from the cliffs above and wildflowers bloom. The canyon feels so secluded, you and your friends will feel as if you've wandered into your own personal wonderland. Three hours from San Francisco and one and a half hours from Lake Tahoe, the North Fork American is a short drive from major metropolitan cities. Nearby highways include 50, 80 and 49. The North Fork is a free-flowing river. This means there are no upstream dams controlling its flow. So when the snow in the mountains begins to melt, the river begins to flow. Flows typically peak early-May. 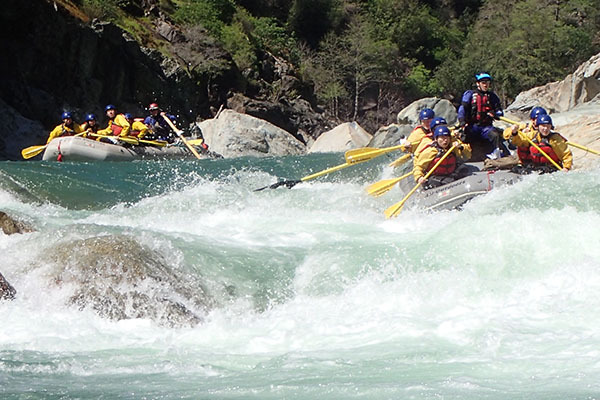 During normal water flows, All-Outdoors runs paddle rafts on the North Fork American. 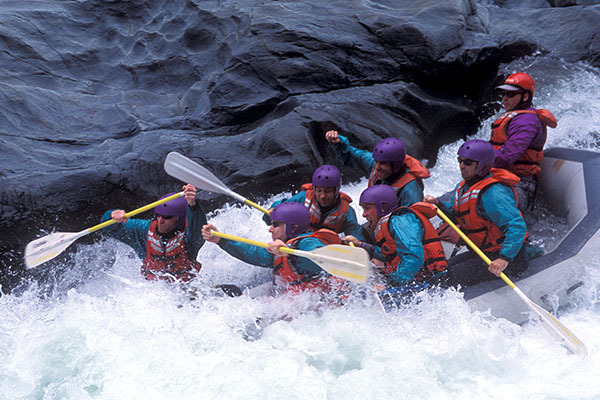 In a paddle raft, each guest and a professional guide have a paddle and navigate the river working as a coordinated team. 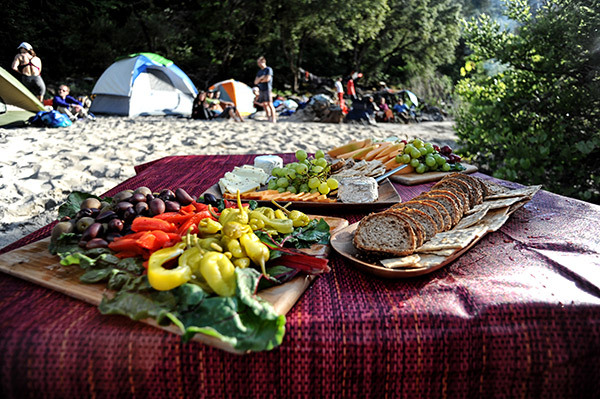 North Fork trips are highly participatory so guests need to be ready and willing to paddle. In high water situations, we may opt to run oar-paddle combination rafts (a professional guide steers the raft with oars while simultaneously calling commands to paddlers). All guests should be able to swim. "A great way to build camaraderie. Our tour guide, Brit, was awesome at her job and enjoyable to be around. Food was great!"